I can promise you, your site won’t be much fun at all unless you start building a community of loyal readers to interact through comments and help enrich the blogging experience for all of your readers, not just yourself. A huge part of the fandom site experience is having others to talk to about the object of their admiration. Let’s talk about building a community around your fandom and your blog as part of my series on The Art of the Fan-Based Blog. The first trick to cultivating a community is to create a strong core group of readers, who come back day after day and evangelize your site to other parts of the fandom. Promote your site within the fandom, on other boards, through established communities, and through communities with similar interests. Don’t simply plug your blog and never return – there’s no faster way to turn off a potential reader than to be a Drive-by Linker. Within the established fandom, build relationships offsite through comments, e-mails, and even instant messaging. Respond to other fans on Twitter, and be willing to be the first to reach out a friendly hand when a new fan asks questions. 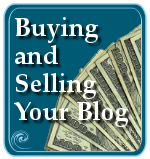 To create a more cohesive group within my readership, give your blog fans a name. I originally got the idea from the Office Tally blog, for fans of the television show “The Office”, who refers to their readers as “Tallyheads”. I refer to the fans of my site, No Fact Zone, as “Zoners”. This helps them have a sense of identity and feel like they are a member of an exclusive club. I love it when I read reports on other fan sites about people attending the live taping of ‘The Colbert Report’ and meeting “other Zoners in the ticket line.” It makes me feel all warm and fuzzy to see that the readers are taking their Zoner identity outside of the bounds of their computer and into their real life fandom adventures. Having the opportunity to meet up and participate in live fan events is something that should not be passed up. Utilize comments and mailing lists to keep members in contact with each other before a big event. Make sure to announce events as quickly as information becomes available, as conversations among lucky ticket holders often develop within the comments section of those posts. Also, knowing which of your readers is attending which event is helpful for follow-ups for event stories after the event has concluded. 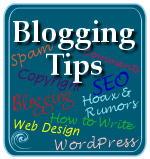 Your blogging community is an excellent source for getting tips on breaking news stories. Every day I get tips from my readers on stories I have not heard of yet. Having this large bank of “field reporters” helps to keep my site content updated much better than if I was doing the site alone. Make sure to thank the tipster by giving a Hat Tip to them in the blog post. Many readers feel honored to be mentioned on the site, and I know I love it when I get a hot tip from a reader that helps me beat other news and fan sites to the punch. You may realize at some point that your community is wanting to converse more with each other and to build stronger relationships, bloating your blog comments with off-topic banter in the process. Maybe its time to consider building a message board or forum to siphon some of these off-topic conversations to a more appropriate venue while still hosting the content. Visit other message boards and forums in your fandom and see the dynamics that are built. Make sure that any board that you build will be an improvement over these other already established communities. 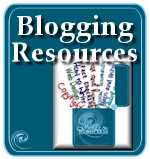 Do you have time to moderate the boards every day and continue to manage your blog comments, your staff, and your posts? Managing message boards can be a serious clock gobbler. Are you willing to host content under your site brand that may be objectionable, or may cause contention within members of the community if the objectionable content is moderated? Are you willing to moderate disagreements within the community? Let me tell you right now, the inevitability of conflict arising on a message board is virtually guaranteed. Do you have potential staff members in mind before the board is even built? Have you considered how running a message board might dilute your content, or might draw users away from the comments section of your blog? From personal experience, I have found two things about communities and message boards. First, the comments in blogs can develop a very rich and satisfying community without the use of a message board supplement. Secondly, the management of message boards can be a royal headache. Weight the strengths and benefits of a board before committing to hosting one. The major benefit of keeping your community within your comments is 100% control of your content. 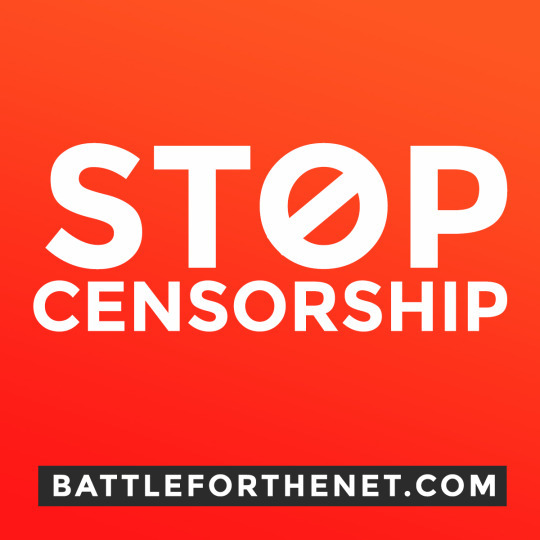 Keep in mind that using threaded comments and Open Topic threads can often provide the same sense of community without all the politics and headache that ownership of a message board can bring. That being said, I highly recommend participating in your fandom outside of your site. Join message boards where you feel comfortable and where you enjoy the content. In meeting fans outside of your site, you have a unique opportunity to both meet new people as well as a new forum to promote your content. Participating in message boards is also an excellent opportunity to be able to talk off-topic to your readers and to other fans. Forums are also an excellent place to recruit new readers and can often be utilized as a breaking news source. There are many ways to use a WordPress blog to encourage comments and interaction. While creating content worth talking about and linking to is the first step, there are still some WordPress Plugins and add-ons you can use to further encourage feedback and dialog. Threaded comments encourage cohesive conversations. 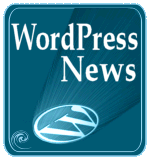 I recommend trying AJAXed WordPress or WordPress Threaded Comment to see which works best in your template. The next version of WordPress will have threaded comments built-in, connecting the comment conversations. Use a WordPress quote generator such as WP-Quotes WordPress Plugin to bring a whimsical element to your template. Often a random quote generated will start a flurry of conversation in the comments. Having a method for fans and others to contact you is critical. The WP-ContactForm WordPress Plugin makes creating a contact form for your blog a very simple procedure. Be sure to feature the link on your form prominently so that your readers can easily send you tips, praise, or bugs within your site. Community is also invaluable for promotion of your content. Engage your readership by encouraging social networking promotion. Once you’ve published a strong story, a strategic move to drive new content to your blog is to use social networking to publicize your news. Digg, ShowHype, StumbleUpon and other story publishing sites are an excellent way to get your most juicy and unique news out to a new audience of readers. Consider using FriendFeed and ping.fm, and similar sites that broadcast your just published content to Twitter and other social networking sites to let your fans know that something new has just been announced on your blog. Readers often need a little bit of the power of suggestion to act. Use a plugin that has links to social sites in every footer, such as Sociable for WordPress, and if a story is very strong, encourage your readers to share the post. Community is important for finding and recruiting staff for your site. Blogging solo is fun, but blogging with a crew is even better. I took on my first “Colbert Completist” (as we No Fact Zone staffers recently dubbed ourselves), Jennie, after she kept sending me link after link after link for my blog. I finally said, “Would you like to blog these yourself?” She jumped at the challenge. My second staffer, MsInterpreted, was someone I watched on a message board for months. When she contacted me for the first time, I said, “Thanks for the e-mail. You’re awesome. Would you like to be a staff member on my blog?” Thank heavens she said yes! She knew of someone who she thought would work well for the site, Kinaesthesia. Jenny with Y came on after we had been chatting online for months – I had a project I needed help with, and asked her as we were chatting one day. She soon took on quite a bit more responsibility with the site. The transition from a single voiced blog to a multi-author blog was actually quite simple. 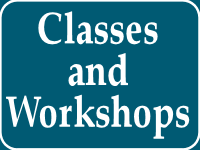 As people approached me with offers to help with the site, I first gave each of my staff a specific project and taught them some HTML and WordPress basics. Once their confidence level was up, we began to work as a team to do multiple tasks needed for the site. Having multiple people on staff gives a slightly different flavor to the mix as we all have our own blogging styles and voices. It’s also great to have a small cadre of people who I can bounce ideas off of when I’m thinking about adding something new to the site, or when I’m trying to make a decision about a direction to take a story. Having a blog staff rocks, I would highly suggest getting a few if you get the opportunity. For my blog, I have a 100% volunteer staff. We have four primary staff, who do the majority of the online blogging, and a handful of contributors that help with special projects. I manage the staff and their contributions through constant contact via e-mail and instant messenger. We often e-mail a story lead we are about to publish to all of the primary staff so that we don’t duplicate efforts by publishing the same story at the same time. During major events, such as the Emmy Awards, we meet in a chat room to keep in close contact and take turns publishing the breaking stories as they happen. Not only does it keep the stories organized, it’s about the most fun I’ve ever had as a blogger, working with the staff to get the bombardment of stories up as quickly as we can. Within our primary staff, while we all do post news articles, we also have special assignments of which we take ownership. As webmaster, I code the site, work closely with our site host to keep our hosting package optimized, change templates when necessary, and consider myself the primary contact for major media and correspondence with Comedy Central. Jenny with a Y is in charge of the nightly posts immediately after the airing of the ‘Colbert Report’, Kinaethesia does weekly carnival posts about the weekly guests, and MsInterpreted is gatherer of the stories for our “Six Degrees” carnival posts as well as reporting breaking stories during the business day when much of the staff is unable to blog. There are many blogs and posts that emphasize the importance of community and ways to foster it on your blog, but in a fandom setting, community takes on a very distinct meaning. You are bonded together by your common passion, and having that support of your readership is an essential part of a blog’s success. Make sure to participate in your fandom outside of your site to help meet new fans and grow your existing readership. Maximize your community experience by adding helpful WordPress Plugins. And if you see a fan who has obvious writing talents and passion in your comments, approach them to be a member of your staff. Your community is not just the readership of your site, it is the heart of your site. You cannot do this alone, and you shouldn’t have to. Make your blog a team effort, between you, your staff and your readers. 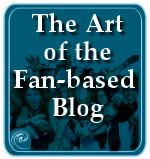 In the next article in this series on fan-based blogs, I’ll cover the dark side of fan blogs: the crazy fans. DB Ferguson is the webmaster of No Fact Zone, a Stephen Colbert-centric news blog and fan site. DB loves the community of Zoners (or readers of No Fact Zone) that come and comment on her site every day. I’m serious. They totally rock. This entry was written by Lorelle VanFossen and posted on December 20, 2008 at 5:41 am and filed under blogging tips with tags blog your passion, building a fan blog, celeb blog, celebrities, community, community building, creating a fan-based blog, db ferguson, fan blog, fan-based blog, fandom, how to create a fan-based blog, networking, networks, no fact zone, passion, social media, social network. Bookmark the permalink. Follow any comments here with the RSS feed for this post. Post a comment or leave a trackback: Trackback URL. Thanks for the ideas about the community. I am lucky, I think, in that very early in to my ‘fansite’ career, someone really good came by and said it would be great to have a forum for all the (insert name of niche) fans. The idea hadn’t really occurred to me before, as I didn’t think there were enough people interested to justify opening one, but I was absolutely wrong, and now the forums are a hub for fans really interested in discussing news, updates and other random things. However, I have now run into a problem. Back when the forums started 2 years ago, we had two excellent members of the site who really worked hard to contribute. They were made staff moderators about 8-12 months in and were a huge asset to the community. However, in the past 6-8 months or so, mainly due to their real lives and what I am starting to think is lessening interest in said ‘niche subject’, they have rarely participated in discussions and login maybe twice a month to add the odd post. The forum members know we rarely promote people – perhaps this is something we should consider rethinking – and now I am seriously considering promoting some of the members who have been consistently dedicated in the past year, but am torn as to what to do with these two older ‘staff moderator’ members. I would be grateful for any suggestions on how to handle this situation, as on the one hand I think it would be best to leave them as is, but on the other hand, I do feel it would be best to ‘retire’ them gracefully to some role of ‘elder’ but without causing any bad feelings.